Asia Pacific Sports Management (APSM) Pte Ltd is the leading basketball provider for the youth of Singapore. Our programs and events cater for players from beginner to advanced level. Our coaches and tournament organisers are passionate about ensuring that every participant has a positive experience - and that their sport experiences enriches their lives. 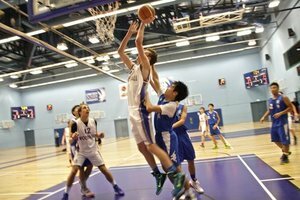 APSM Pte Ltd is the leading Basketball provider for young people in Singapore. Our programs and events cater for players from beginner to advanced level. Our sports coaches and tournament organisers are passionate about ensuring that every young participant has a positive experience - and that their sport experiences enriches their lives. APSM currently impacts positively on over 3000 youth either directly under our care or indirectly through our organization within our clubs, training programs, school team coaching, leagues and tournaments. Our links to the region and beyond create a positive and diverse experience for the youth under our care. With over 300 players and 19 teams the Stingers and Grizzlies are two of the most successful Youth Basketball programs in Singapore! As a player, APSM has the program for you, whether it is at a beginners level or whether you aspire to be the best you can. Our clubs and training programs have a place for you. As a coach or administrator, APSM is always searching for committed, experienced staff to continually improve our programs on all levels. To sign up for any of our clubs or training programs go directly through their individual sites. Check in to see if we are hiring. APSM is always searching for committed Volunteers to improve our programs in anyway they can help.